I’ve just finished working on my stretchy stick, ‘nobebera’, and now the mossies are driving me inside. 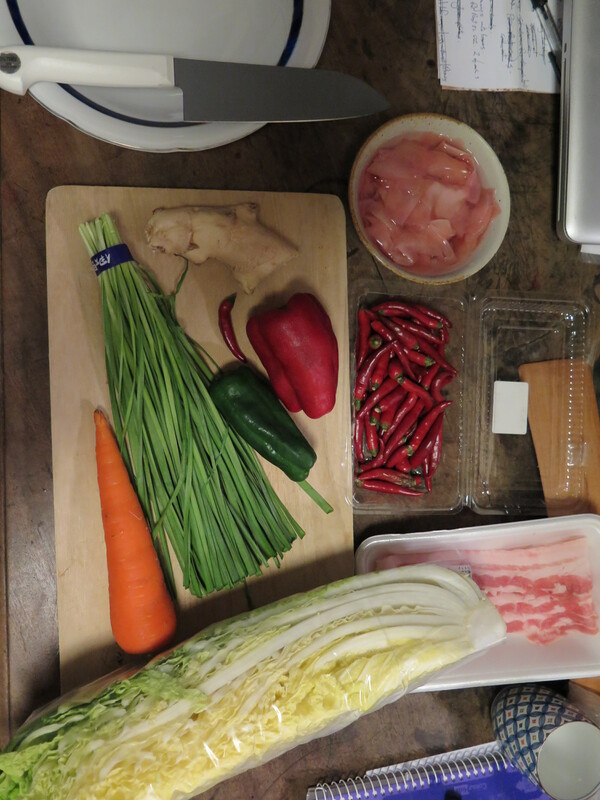 It’s time for dinner and I have most of the makings of an okonomiyaki pancake on hand, but I’m going to make an Oka version. 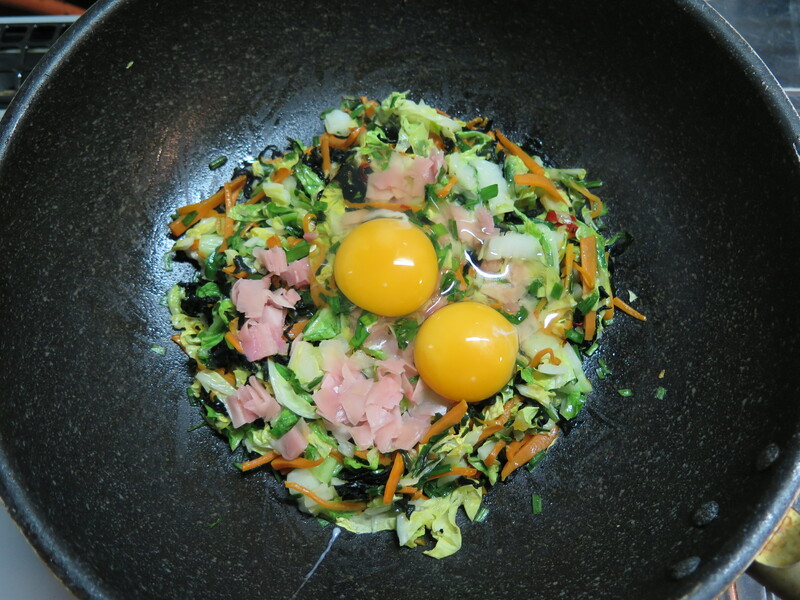 Okonomiyaki is an interesting compound word, that has come to mean ‘pancake’ in common parlance, but if you break it down, okonomi can mean ‘your choice’, and yaki can mean ‘cooked’. So it has come to mean that you can make a pancake out of what ever you want to put in it. I like that kind of recipe. 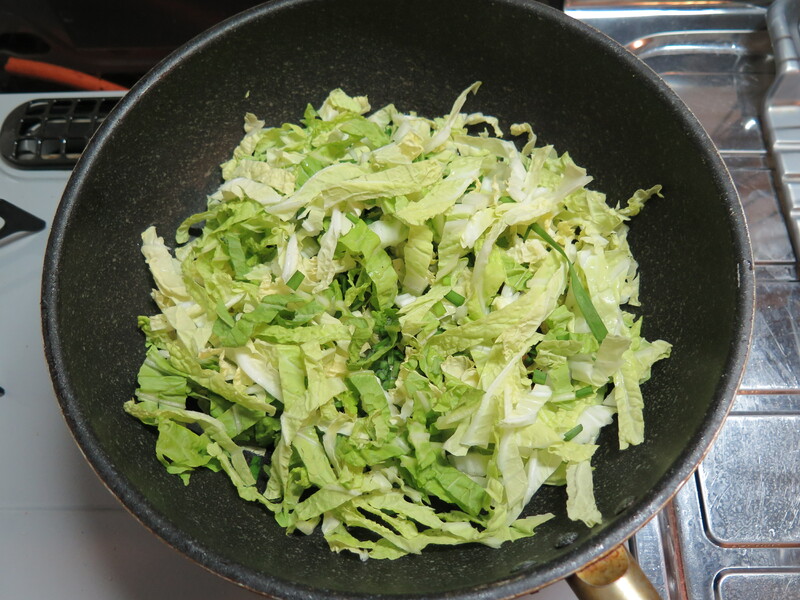 I don’t have all the things that usually go into an okonomiyaki, but it’s my choice, so I will use what I have. Plenty of vegetables, held together with a bit of egg. 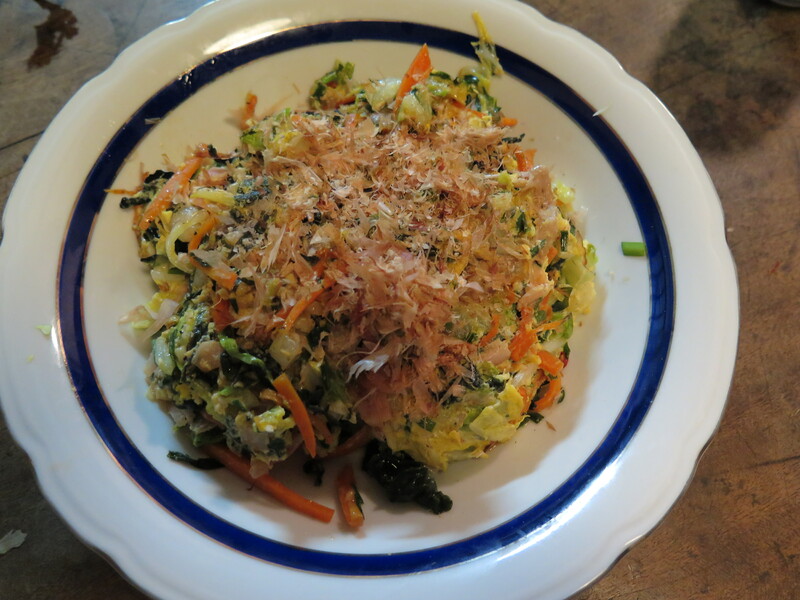 Okonomiyaki, can also mean ‘a stupid thing, of, my, pottery’. This could be a term used to describe my meagre efforts on the potters wheel here in Arita, so I have an affinity. 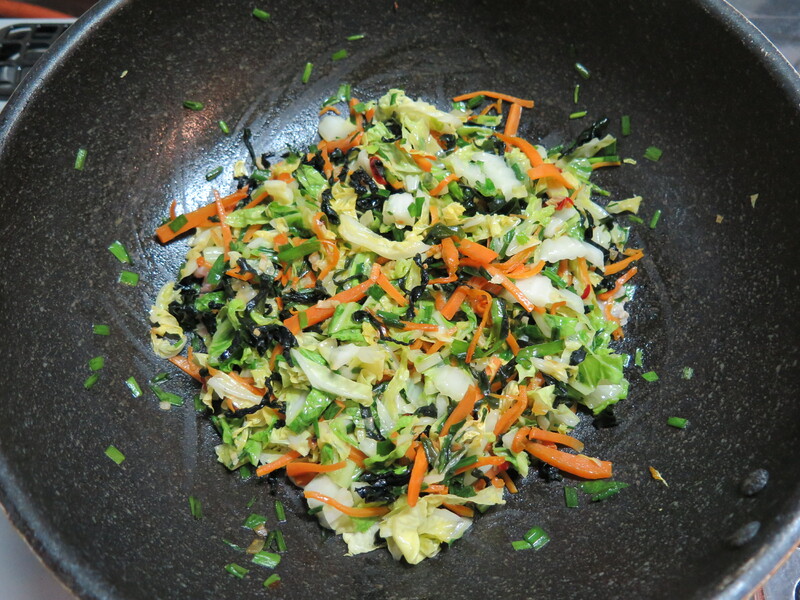 It’s quick, it’s fresh and it’s reasonably healthy. What more can you ask? I don’t have some of the normal essentials here in my tiny kitchen. I haven’t bought any mayonnaise and I don’t have any Japanese ‘tonkatsu’, BBQ style sauce, or any nagaimo, long yam root, but as the name implies, it’s my choice so I have what I want. What I really like about this is that, apart from being really tasty, it is a one pan meal, so just right for my tiny kitchen, and so little washing up! This could be enough for 2 helpings, but I manage to eat it all. 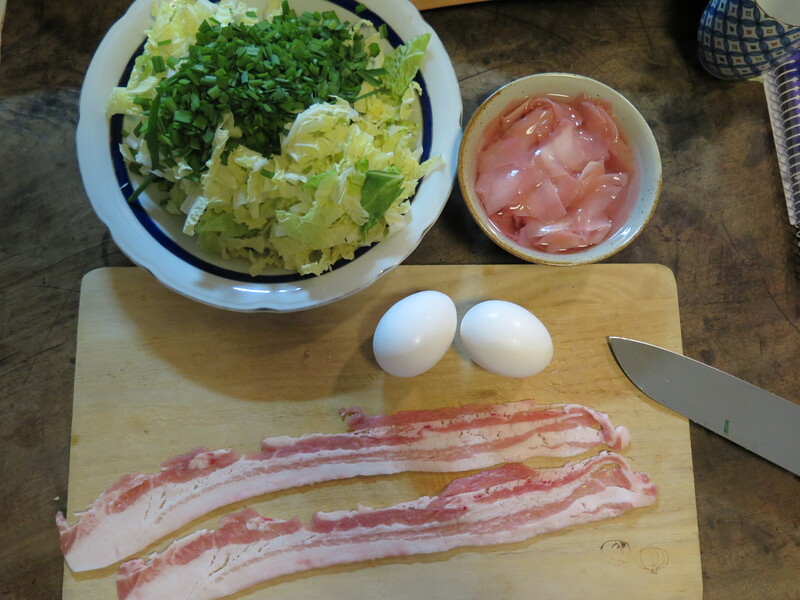 I even have some bonito flakes to put on top. I love the way that they quiver around in excitement at the thought of being eaten! They know that they are delicious.